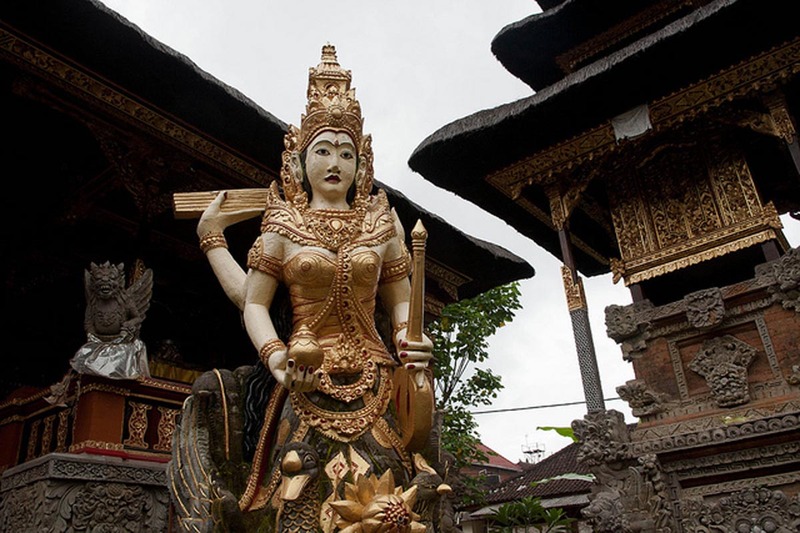 An Ubud water temple built in homage to Goddess Saraswati, who is the goddess of literature, learning and the arts. 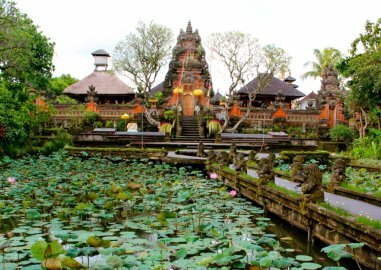 It is the seat of Ubud's royal Sukawati family and was founded in the late 19th century by I Gusti Nyoman Lempad, who created a dance stage in front of the temple entrance and a massive water garden overflowing with lotus flowers in front of the stage. The irrigation channel that flows from the rice fields above the town provides water. 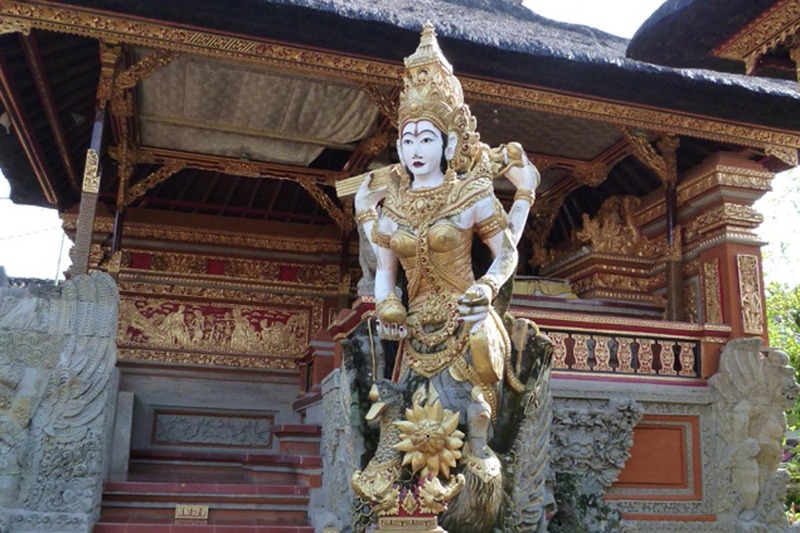 The temple gives the impression of light, grace and tranquility. Balinese dance rehearsals and performances with young children take place here daily and are very popular with the tourists. The performances are easily viewable from Cafe Lotus that faces the temple entrance. 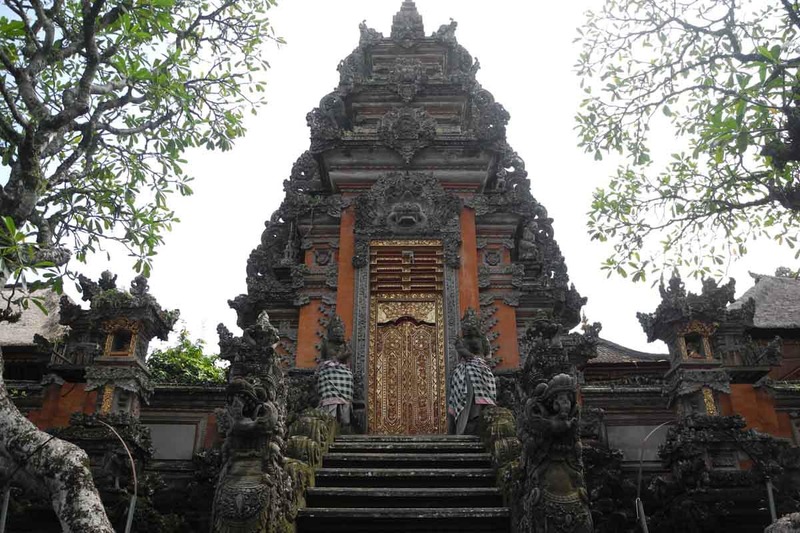 There is a spectacular gate at the centre and a special wall to keep away the evil spirits blocks the main entrance. This temple is decorated with many fine carvings and inside the temple is the Padmasana shrine located in the northeast. 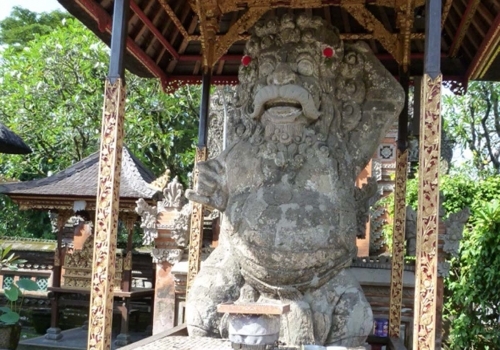 There is also the bale barong, giant masks, statues of Goddess Saraswati and the statue of the devil Jero Gede Mecaling as high as 3 meters in the front. 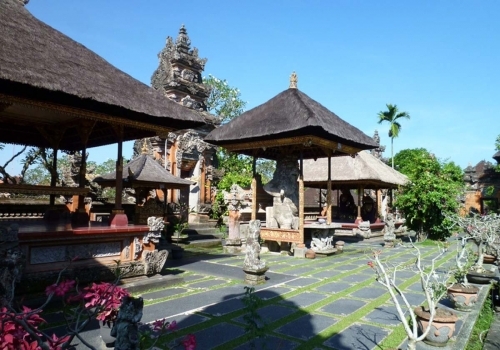 Tourists stroll in and out through the day and usually find themselves enchanted by this peaceful ‘oasis’ in the heart of a busy town.